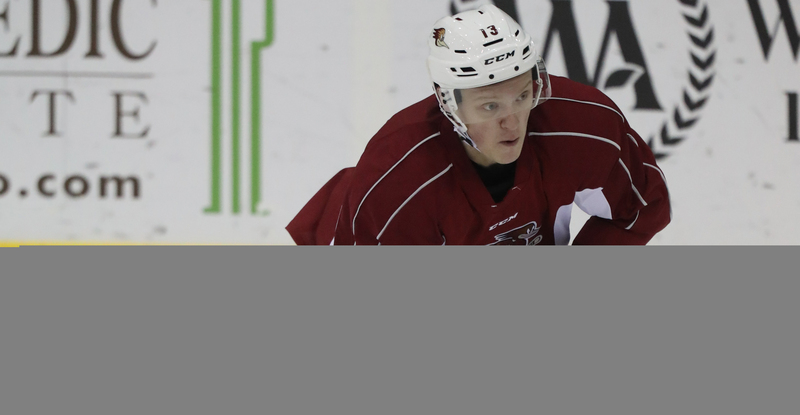 TUCSON, AZ – The Tucson Roadrunners, proud American Hockey League affiliate of the Arizona Coyotes, announced today that the club has reassigned forward Artur Tyanulin to the Fort Wayne Komets of the ECHL. The 20-year-old native of Kazan, Russia was selected to the ECHL All-Star Classic earlier today after registering nine goals and 13 assists for a total of 22 points through 16 games with Fort Wayne this season. Tyanulin has played four games for Tucson, however did not register a point.